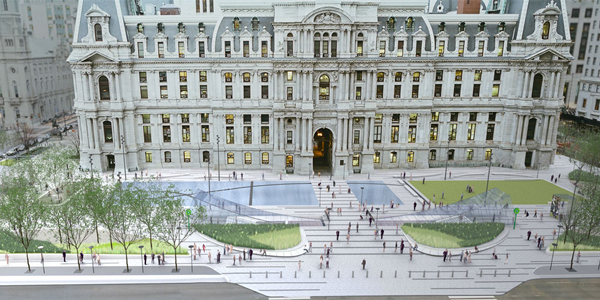 The renovation of the newly-reopened plaza at the heart of Philadelphia, Dilworth Park, creates a vibrant cultural and civic centerpiece around transit. C&G Partners created wayfinding, donor recognition and interpretive graphics for the project. 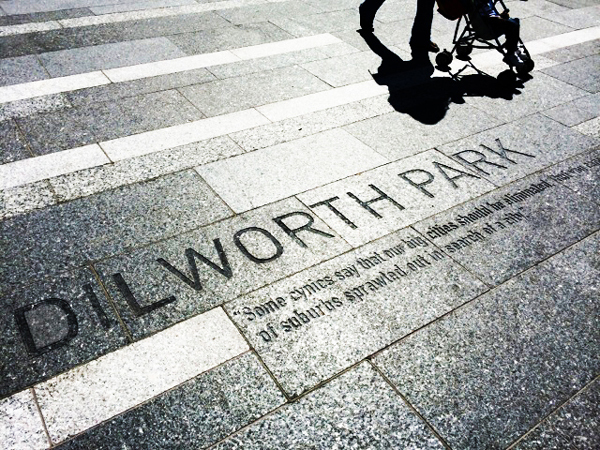 C&G's work includes permanent typographic installations embedded in the surfaces of the plaza. One quotes influential former Philadelphia Mayor Richardson Dilworth, from whom the Plaza takes its name: "Some cynics say that our big cities should be eliminated, but you cannot have a lot of suburbs sprawled out in search of a city." We heartily agree. A project of this size involves an enormous number of excellent people over time. C&G Partners is honored to have worked in collaboration with City Center District, Kieran Timberlake Architects and Olin Landscape Architects, among others. Fuller illustrated rundown coming soon.